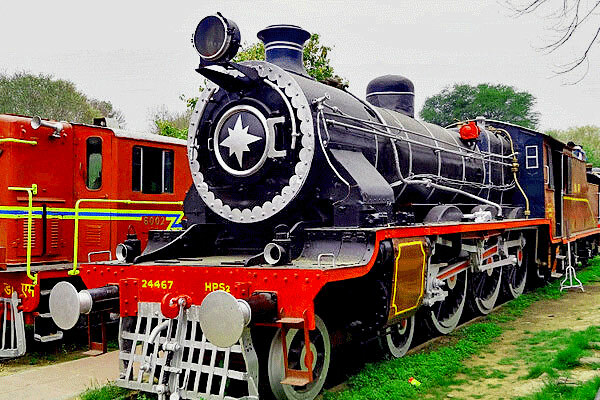 Delhi with its rich cultural history from the time of mythical capital of the Pandavas to Mughal Empires have been influenced by various Kingdoms and culture. Since Hinduism is the largest religion in the country you can easily find a temple in Delhi wherever you go. 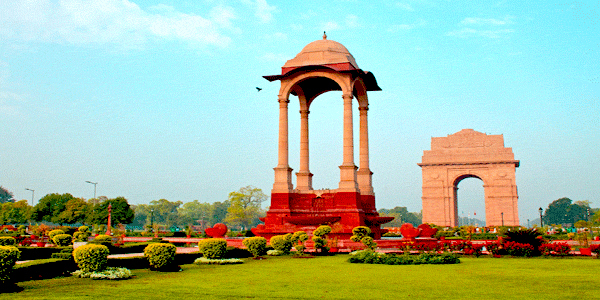 There are numerous temples in Delhi some dating back to centuries ago with amazing carvings and architectures. 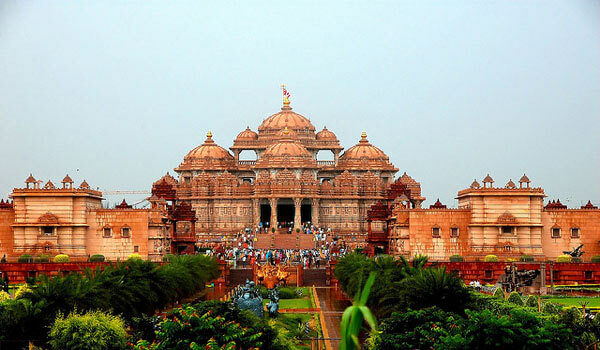 Some of the modern temple depicting beautiful architecture are Laxminarayan temple, Akshardham temple, the Bahá’í Lotus temple and the ISKCON temple. Kalka Ji Temple located in South Delhi is one of the most famous and acknowledged temples of Delhi which is devoted to Goddess Kali . The temple is also known by the name of ‘Jayanti Peetha’ or ‘Manokamna Siddha Peetha’. 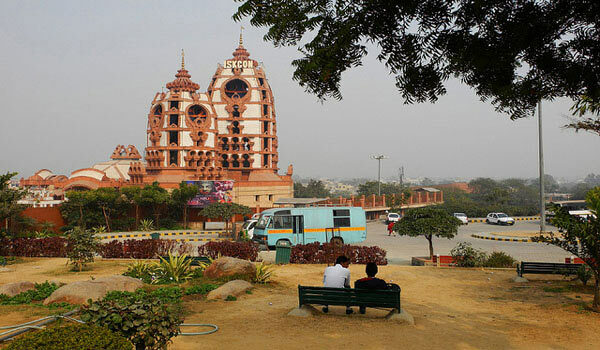 Famous Lotus Temple and ISKCON Temple are also located nearby to it. 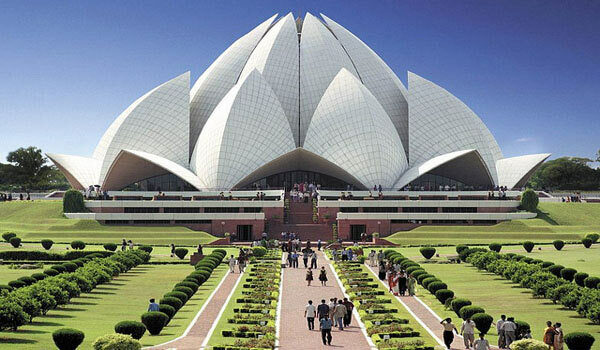 A temple and place for Bahai House of Worship which is in form of a lotus is located in New Delhi India. This temple comprises of 27 free-standing marble clad in the shape of petals of rose arranged in clusters of three to form nine sides. 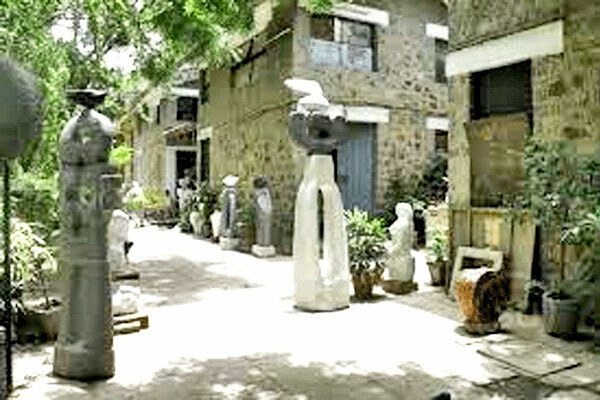 It is one of the most famous tourist spot in Delhi attracting tourist from all around the globe because of its unique architectural design. The temple is open to all without any discrimination on religion. 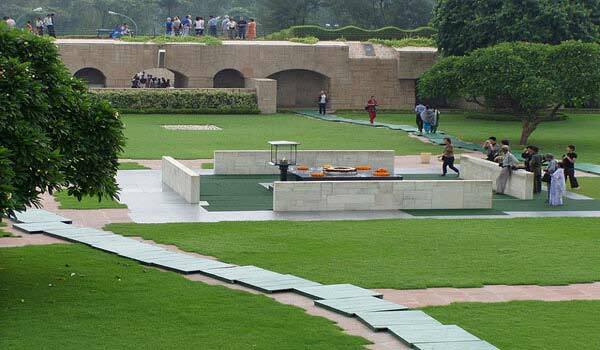 The temple is dedicated to Lord Narayana or Lord Vishnu which was inaugurated by Mahatma Gandhi in 1939. 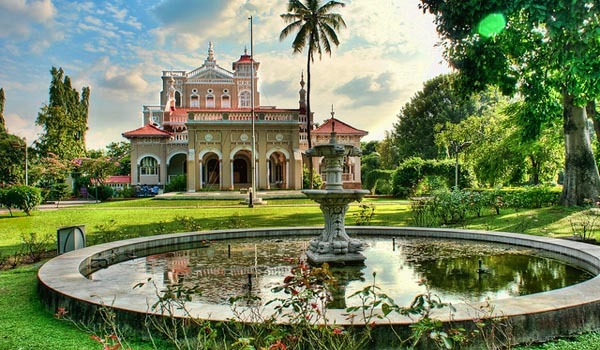 The temple is sprawling over an area of 7.5 acres comprising of fountains, different shrines and a large garden. 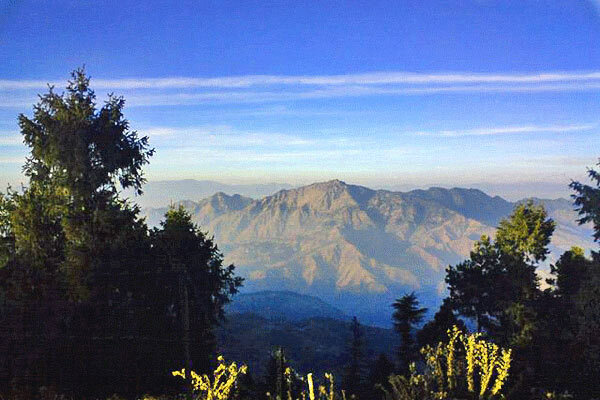 It is one of the most visited temples of Delhi. 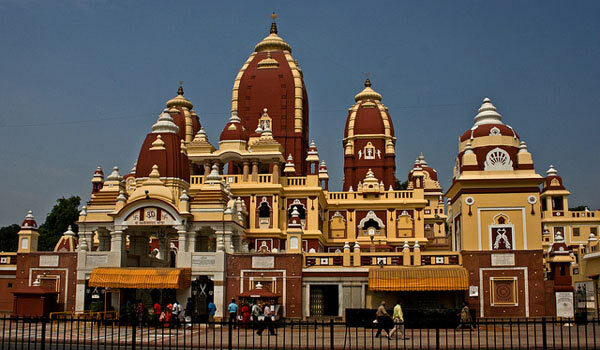 Popularly called as Hare Krishna temple is a famous Vaishnava temple is dedicated to Lord Krishna and Radha. The temple have one of the largest temple complex in India. 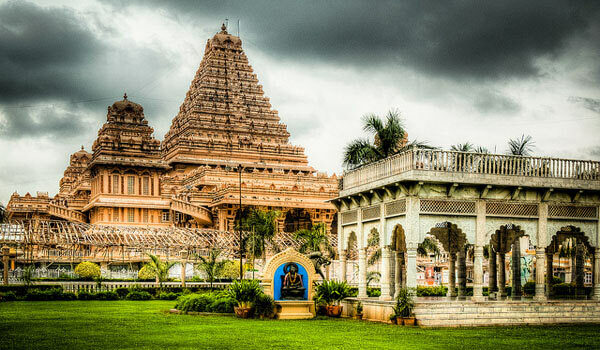 The temple primarily built with red stone is recognized for its unique architecture which blends the traditional Vedic with contemporary style. Also called as Shri Adhya Katyani Shakti Peeth Mandir, Chattarpur Temple located in south of Delhi is dedicated to Goddess Katyayani. Baba Sant Nagpal ji built this temple in 1974 . The temple has second largest temple complex in India and was the largest and biggest temple in World before Akshardham creation. There are also other temples located at its premises which are dedicated to Lord Rama, Lord Ganesha and Lord Shiva. 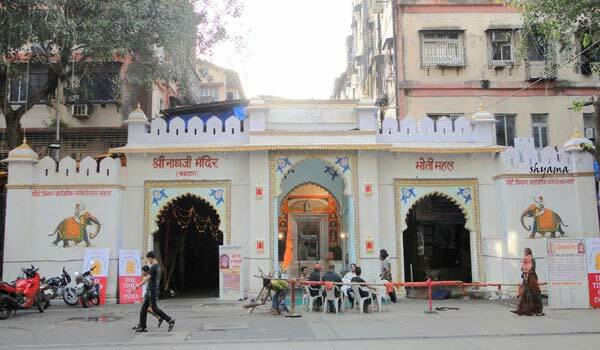 Located near the famous Digambar Jain Lal Mandir oin Chandni Chowk Gauri Shankar Temple is about 800 year old temple which is dedicated to Lord Shiva . The idols of Lord Shiva and Parvati, wearing real gold jewellery are situated just behind the Lingam under the silver canopy. Temple is open all the year long and anyone can visit the temple. 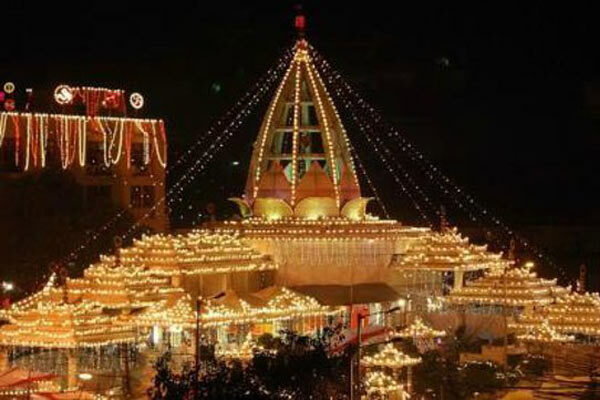 This Hanuman Temple located in Cannaught Place in Delhi is believed to be of the time of Mahabharata times which was later built by Maharaja Jai Singh in 1724. The temple is devoted to Lord Hanuman and caomtains self manifest idol of Hanuman. 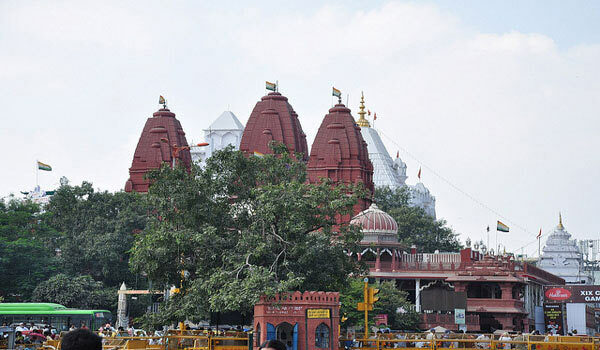 Shri Digamber Jain Lal Mandir is located in Chandni Chowk Delhi just opposite to Red Fort. It is one of the most famous Jain temples in Delhi originally built in 1656. 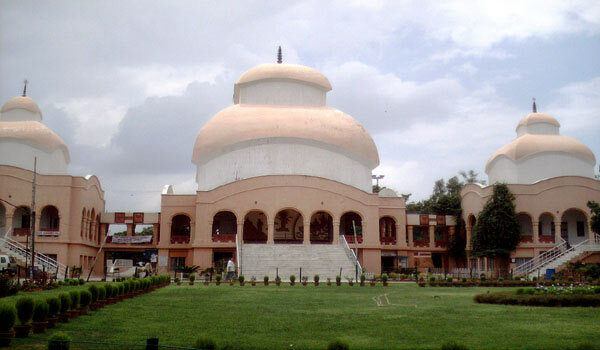 The temple is dedicated to Lord Mahavira, the 24th Tirthankara of Jainism. You can also find the idol of Lord Adinath here. One of the famous south Indian Temple in Delhi Uttara Swami Malai Mandir is situated at Sector-7 R.K.Puram. The temple is devoted to the lord Murugan. It is one of the few temples in Delhi where Hindus from the Tamil, Telegu, Kannada & Malayali societies worship together. 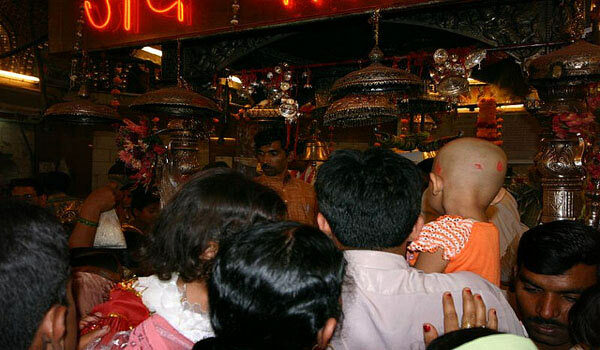 There are a large number of devotees come to this temple and offer their prayers to the lord. This temple wa orignally a Lord Shiva Temple which is located in Bengali Community Center in Chittaranjan Park New Delhi . Later the Large Idols of Goddess Kali was added to the temple. Founded in 1973 Durga Puja is a major festival of this temple which is held for 5 days. Built by Oriya Community of Delhi the temple is dedicated to Lord Jagannath and is located in Hauz Khas Delhi. 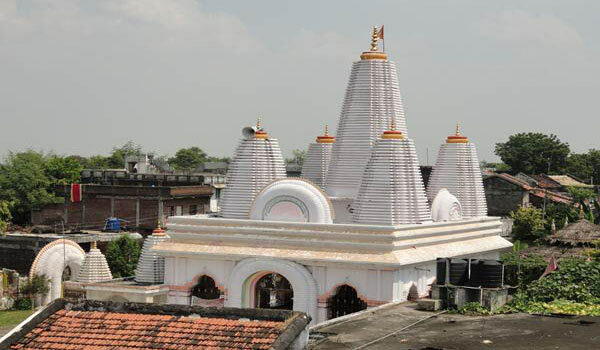 Temple consist of the idols of Lord Jagannath, Lord Balabhadra, Maa Subhadra and Sudarshan . 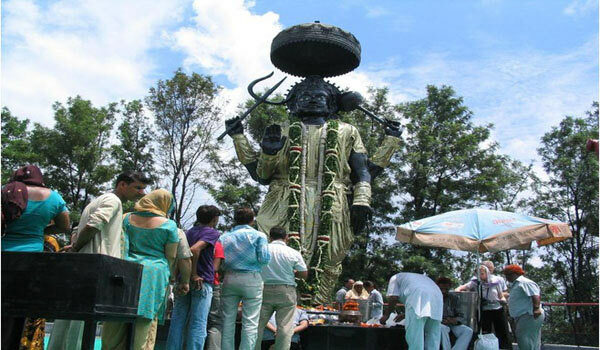 Boasting of the Tallest statue of Shani God Shani Dham Temple is located in Chhatarpur, Delhi. Many devotees and tourist from all over the world come to visit this temple. The temple sees rush during Saturdays the day of God Shani. Also known as Jogmaya temple it is an ancient temple located in Mehrauli , New Delhi and is dedicated to Goddess Yogmaya. It is one of the five temple which are believed to from the time of Mahabharata. The present temple was built in 19th century. 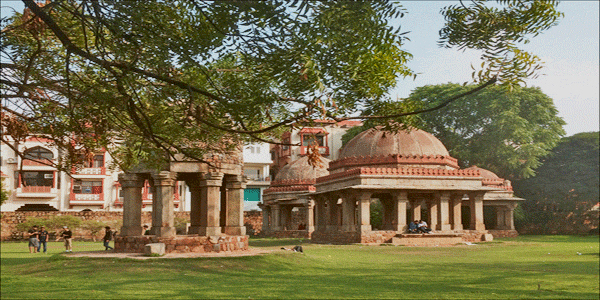 One of the famous and oldest temples in Delhi situated at Lodhi Road. The temple was built in modern style architecture. Temple has a big idol of Shri Sai Baba that placed in the main hall where the devotees offer their Chadar and flowers to the Lord. The whole idol of Sai Baba is built with White Marble. 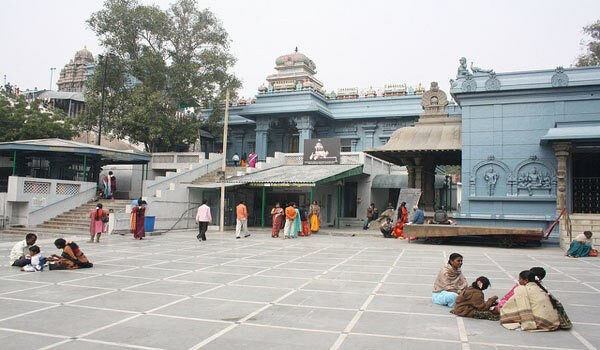 Every Thursday large number of devotees visit this temple for worship. 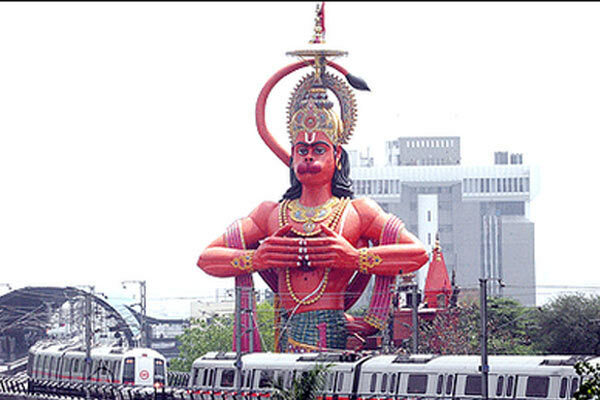 One of the popular Hanuman Temple in Delhi, Considered by a large 108 ft tall idol of Lord Hanuman. 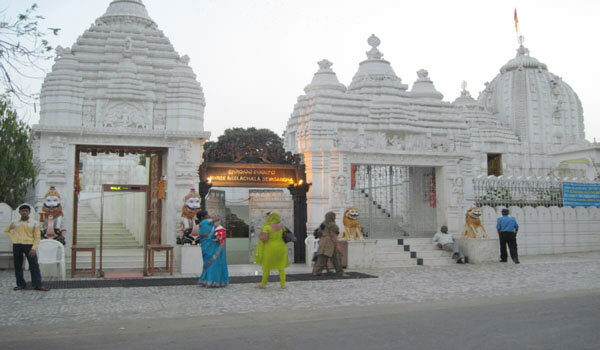 The temple is located at a walking distance from the Jhandewalan Metro Station. 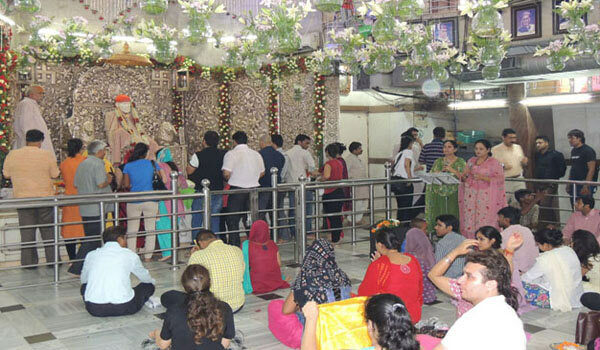 Every Tuesday large number of devotees come to this temple and offer their prayers to the lord. The temple also features in various Bollywood movies. Temples Timings: 5:00 am to 10:00 pm. 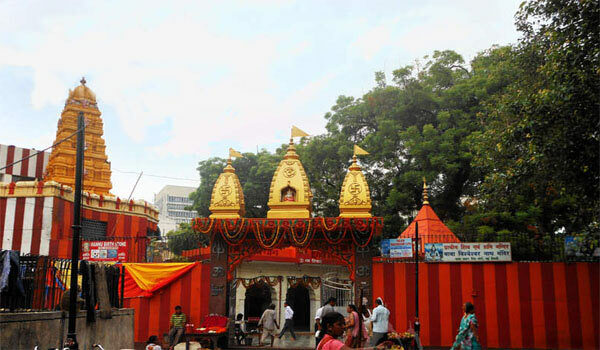 Jhandewalan Mandir is a famous Hindu temple in Delhi dedicated to the Goddess Durga. 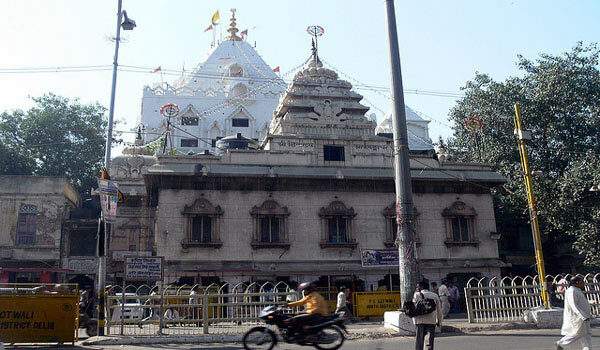 The temple is situated at Jhandewalan Road on the way to Karol Bagh. The temple is visited by a large number of devotees every year and offer their prayers to the Goddess Durga. On the occasion of Durga Puja, the temple is decorated with flowers and light. Temple Address: Jhandewalan Devi Mandir Marg, Block E, Jhandewalan Extension, Jhandewalan, Near Karol Bagh, New Delhi, Delhi 110005. Temple Timings: 5:00 am. – 12:00 pm. Help us to improve this article/list "Famous Temples in Delhi". We would be glad if you can comment below and provide your valuable suggestions and feedback. If this page about Famous Temples in Delhi have any wrong information/list or out of context content, then you can report us as well.